'Canyon Colors' by David Sidwell - DPC Prints! 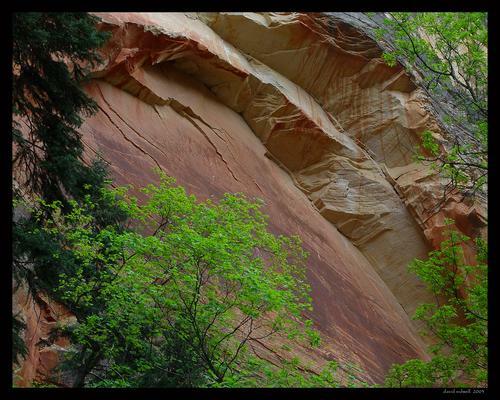 This photograph was taken in Zion National Park, in the Narrows area. As I came around the bend, the light reflecting off of the opposite cliff cast a special glow on this spot. The streaks on the rock you see are called Desert Varnish, and are created over hundreds of years as minerals from the rock and the plants above seep out when moisture comes.